When the durable water repellent (DWR) coating on active rain gear gets worn out, reach for Nikwax's Softshell Proof wash-in waterproofing to regain weather protection. This environmentally-friendly solution can be applied using any washing machine or by hand-washing to revive softshell performance. 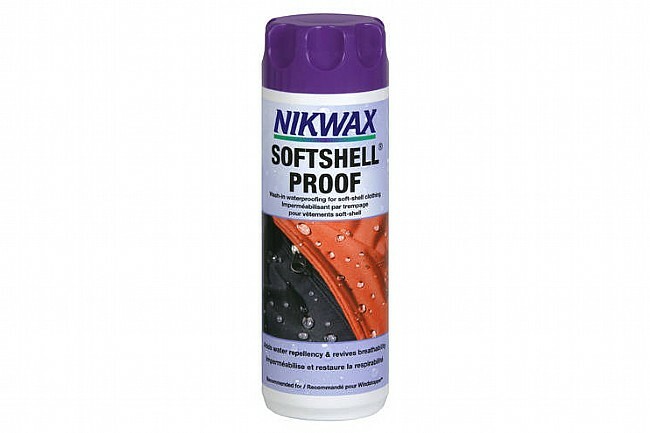 Use in conjunction with Nikwax Tech Wash before application for the best results. 300 ml bottle. Enough to treat 2 - 3 garments.